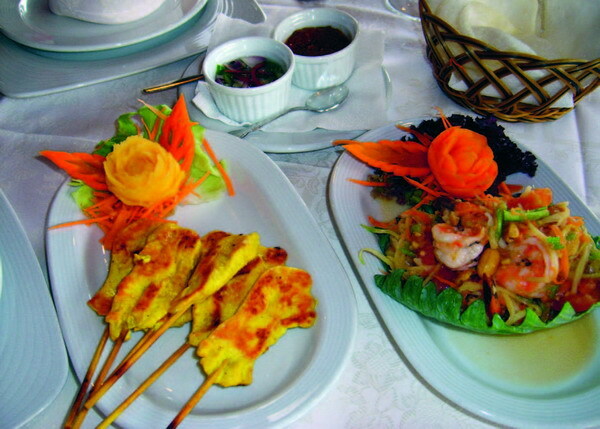 The King and I, the first Thai restaurant in Tenerife, offers the finest authentic Thai cuisine from the Bangkok area. Pun, who runs the restaurant, treats her customers as friends or family, and believes that service is extremely important. Las Américas - 23.12.2007 - Thai cooking is unique. All dishes are subtly spicy, flavoured with herbs, leaves, roots, and even flowers which all contribute to the wonderful aroma and distinguish Thai food from its Asian counterparts. Coconut milk is an essential ingredient which is used to offset the spiciness and give a creamy effect. The chef who is affectionately known as Ko, has a wealth of experience having worked in top hotels for more than 10 years, following the footsteps of Pun. Thai cooks believe in the importance of presentation – the final touch to that exquisite dish which makes a Thai meal a total sensual experience. If you haven’t tried Thai food before, we recommend that you try the speciality dishes which enable you to try several different items from the menu all on one platter. If you are not very hungry, the plato unico will suit you – a light meal which is always available. Accompany your meal with aromatic Jasmin rice, or you can try sticky rice which is soaked for more than 12 hours before it is cooked. 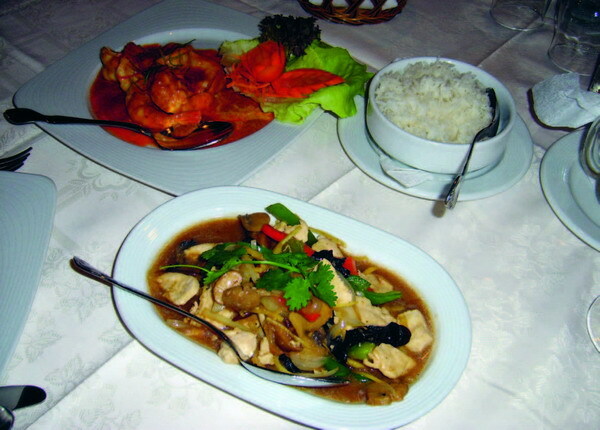 All dishes can be served as mild or as spicy as you prefer, the staff will ask you when your order is taken. Why not try the Thai prawn curry, and follow it with a deliciously sweet Thai flan– the menu for these and all the special dishes is changed every week or 10 days. Try the special banquet on Christmas Eve or New Year’s Eve. It is available from 7pm and includes soup or starter, main course, dessert and half a bottle of wine, water and coffee, all for 40 euros per person. This is a really special restaurant which you can safely recommend to your friends. The King and I is open every evening except Tuesday from 6pm. The kitchen closes at 11pm. Located opposite the Bouganville Playa Hotel in San Eugenio, parking is available in the public car park next to the hospital. Reservations are advisable, on 922 750350. Produced with news.CMS in 0,9527 seconds.